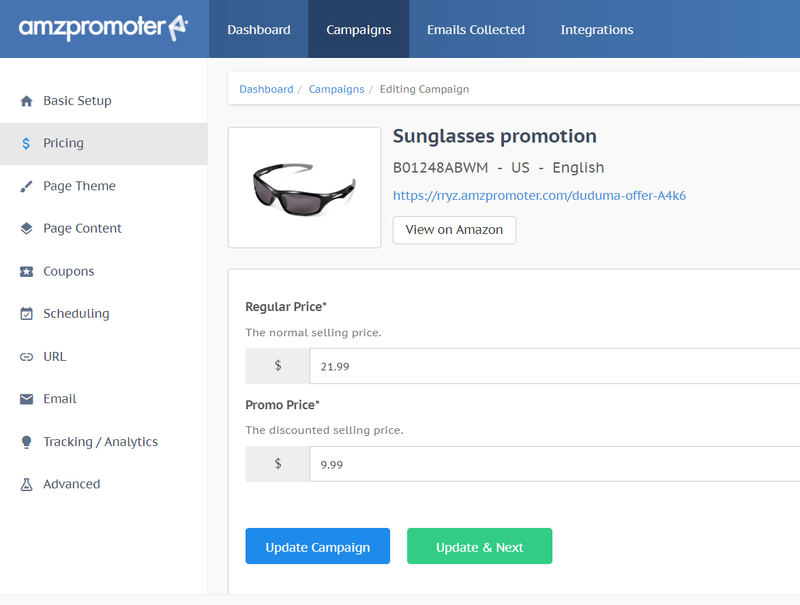 Welcome to AMZPromoter, the ultimate tool for running Amazon promotions. This quickstep guide will help get you up and running with AMZPromoter as quickly as possible so you can start running promotions and making more sales! 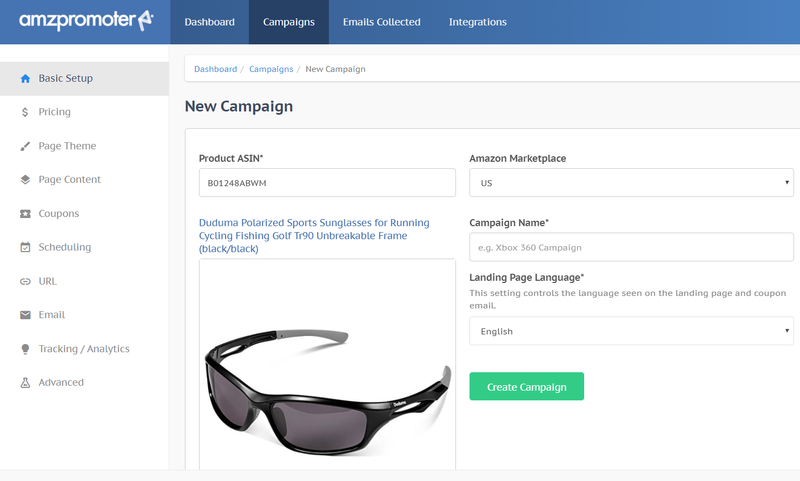 To create your first campaign click the New Campaign button to the left of the dashboard which will take you to the campaign wizard. You must fill in all the fields highlighted below. You can find the Product ASIN on your inventory page of SellerCentral. Try not to take the ASIN from your Amazon product page if you sell products with variations as the Parent/Child listing could cause errors. When you are finished press Create Campaign. It will take you to the next screen of the wizard. Fill out the Regular Price box with the regular price that you sell your product for. Fill out the Promo Price box. Make sure the price listed here is exactly the same as how you have setup your coupons on SellerCentral. If not it could confuse your customer and reduce conversions. Now complete the Page Content form, here you will set up everything that will be showing in the landing page, from Logo to FAQ. Just click the edit button on the selected box, and add the required element, like a picture or a text. Next, set up the coupons. Press the Select File… button to open up a popup box. 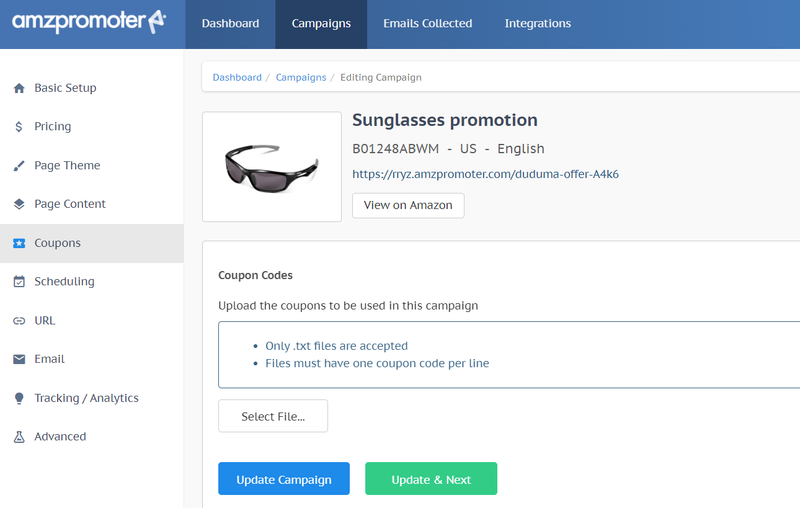 Locate your coupon file (.txt) on your computer and then click Open to upload the coupons to AMZPromoter. 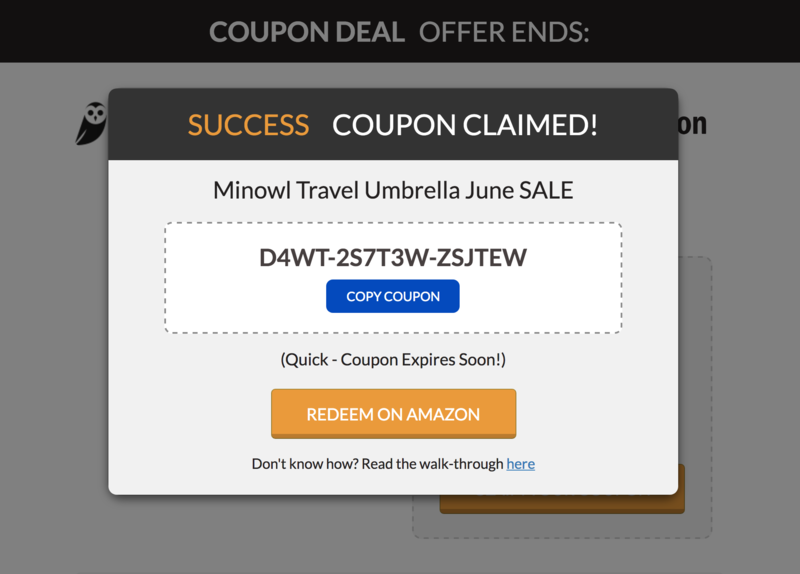 When you download the coupon file from Amazon it will be in a ZIP file. Make sure to unzip this before uploading to AMZPromoter. Once you have uploaded your coupons click Update & Next to move to the next window. Setting up the URL for your landing page is next. For a detailed guide for doing that, please check the two help guides we've created for URL setup. Now, fill the E-mail form. 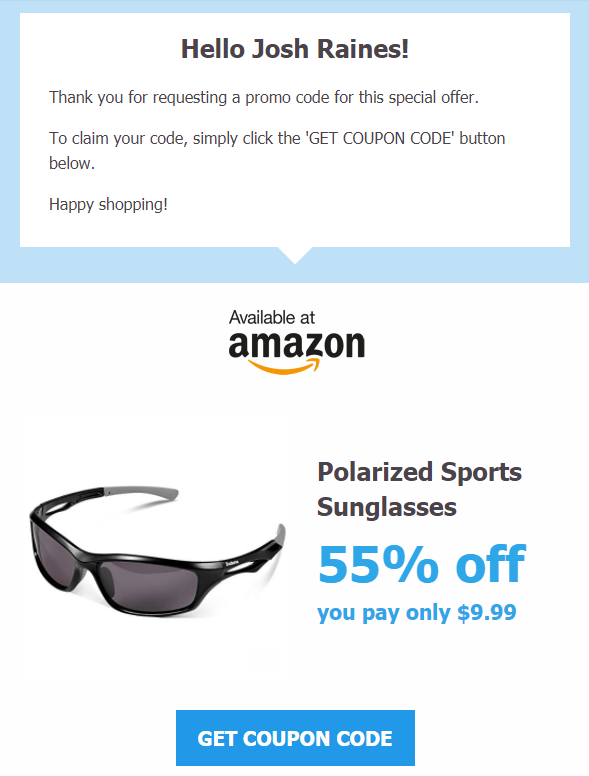 This is the email that your customers will receive when they claim your coupon. If you would like to add your Google Analytics code or Facebook tracking pixel this is the place to do it. These fields aren’t required but can greatly help with optimizing your campaigns (and retargeting). Check out our other help guides for more information. Click Update & Finish to go to complete the wizard. 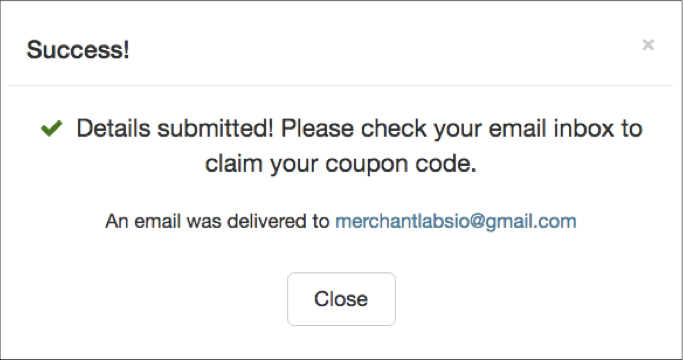 This takes us to the lasting setting page, Advanced, where you can create Custom Coupon Claim Message and set a few more additional email settings. 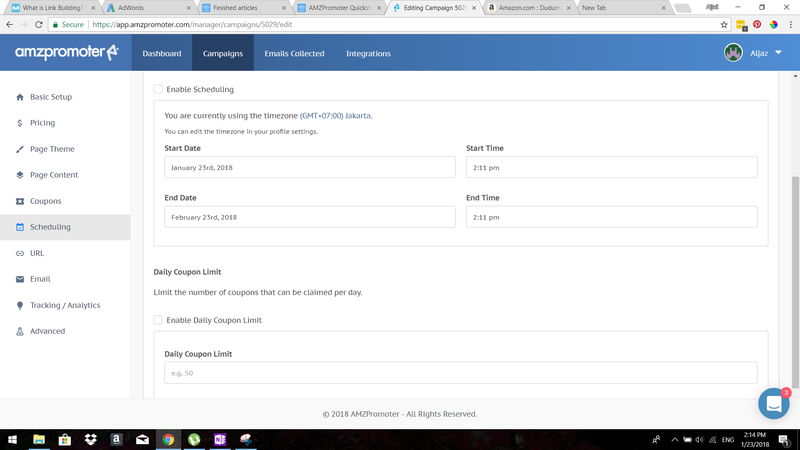 When you get to the bottom of Advanced settings, click Update & Finish and your campaign is live! Here is how a filled landing page looks like. 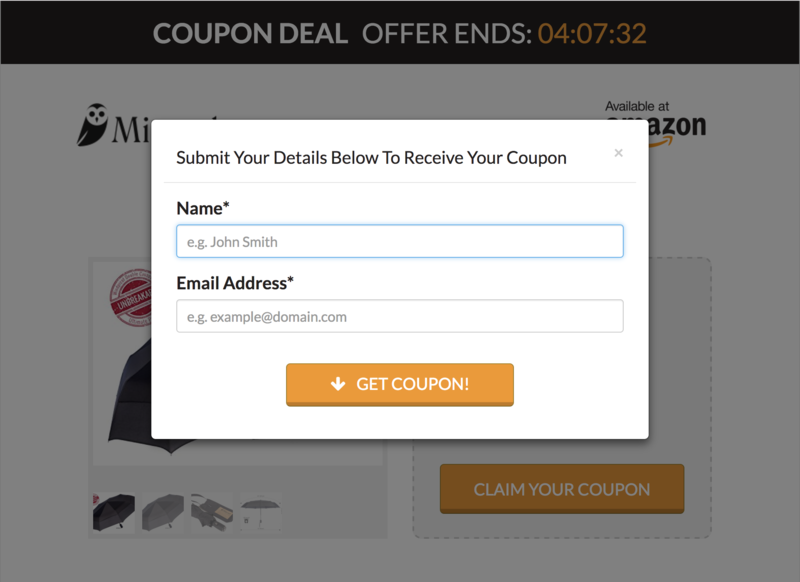 When the prospect clicks GET COUPON DEAL a popup will initiate and the user will be prompted to enter their Name and Email Address. 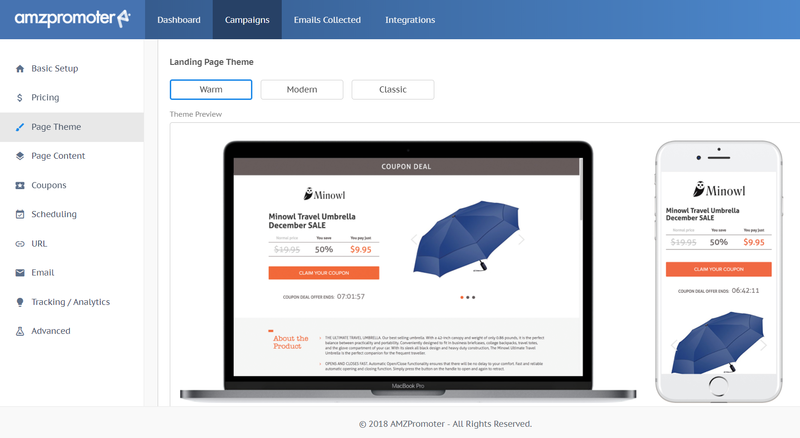 The customer will then automatically be sent an email (using SendGrid, the most reliable transactional email provider) with a link to their coupon code. 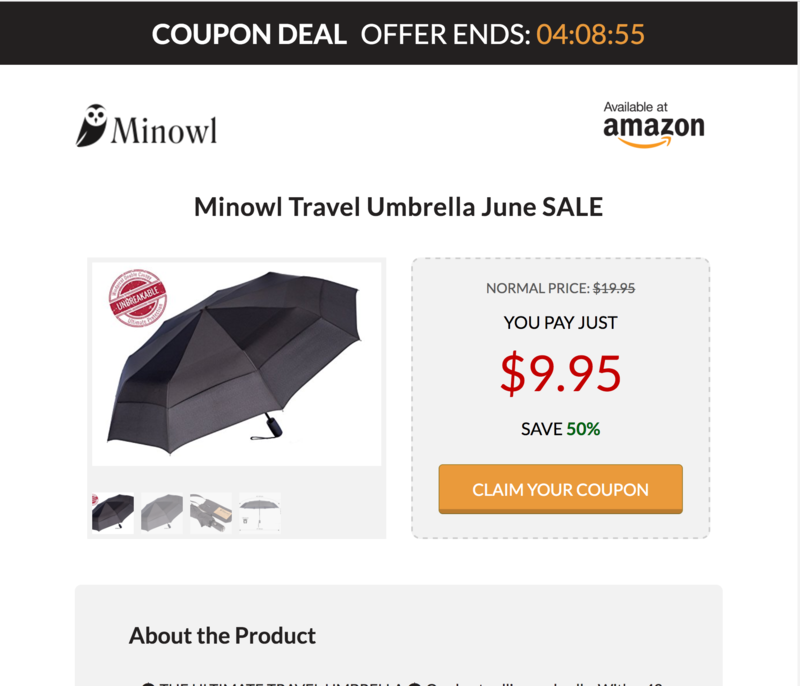 When they click GET COUPON they will be taken to a page with a unique coupon code and instructions on how to purchase the product. That’s the end of the funnel! Email us at support@amzpromoter.com if you have any questions on this guide or anything else.